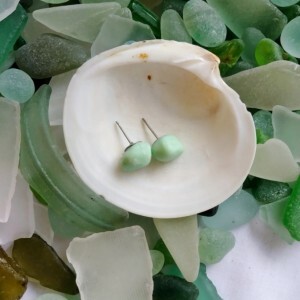 Simple stud earrings made with pale green sea milk glass from the coast of England. 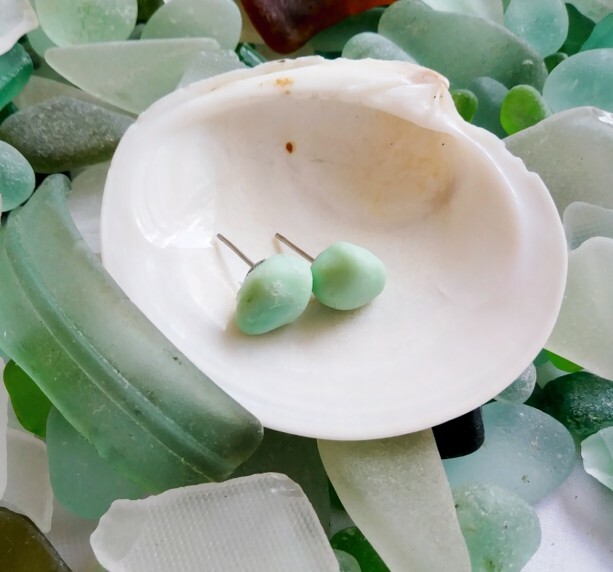 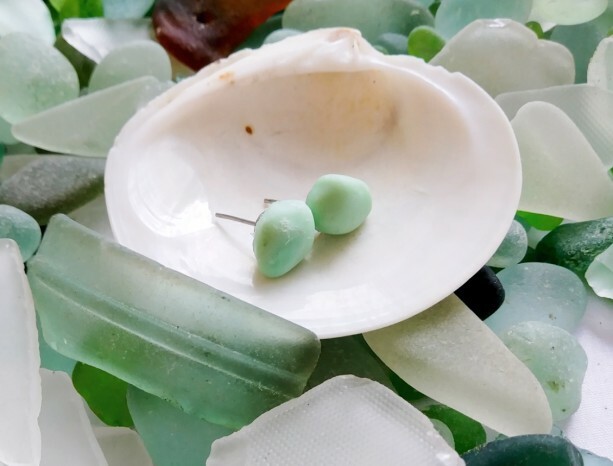 These beautiful earrings feature natural, surf tumbled milk glass and are perfect for any beach comber. 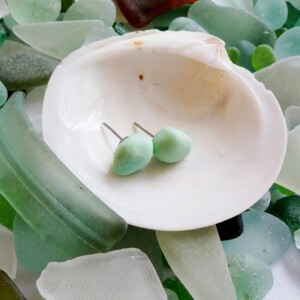 Their minimalist style is suitable for anyone. 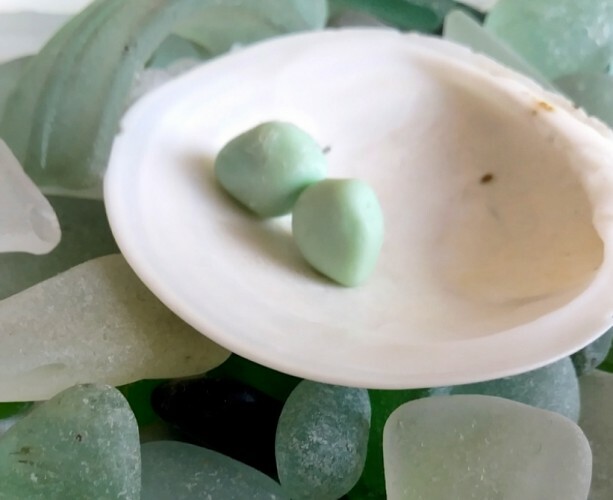 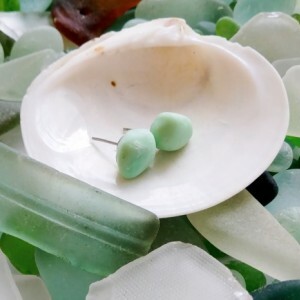 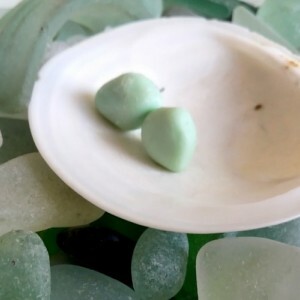 -Pale green, surf-tumbled milk glass from the English coast -Stud earrings measure approximately .5' x .5"